Learn how to care for your acrylic displays and organizers the right way. 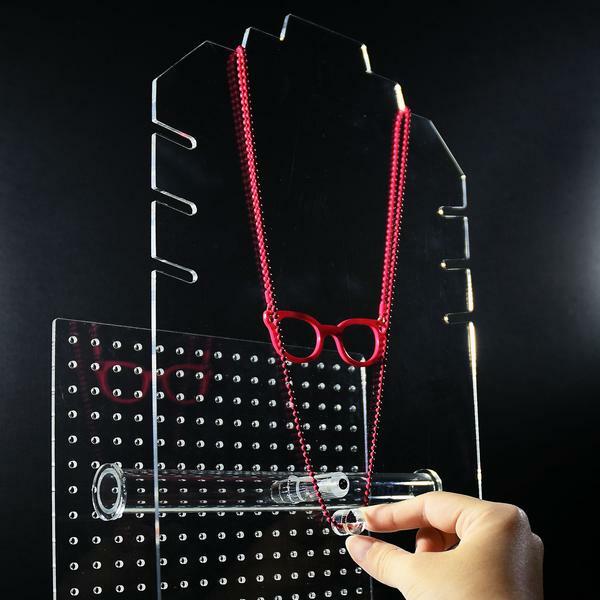 One of the best types of jewelry displays are the ones made of acrylic. This is because they are simple, stylish, and look almost like real glass. Plus, they do not break easily like glass and hence, much safer to use. And if you’ve been using a display for a long time now, some cleaning may be needed. However, you must be wary of using some cleaning chemicals and materials that may cause them to get scratches. 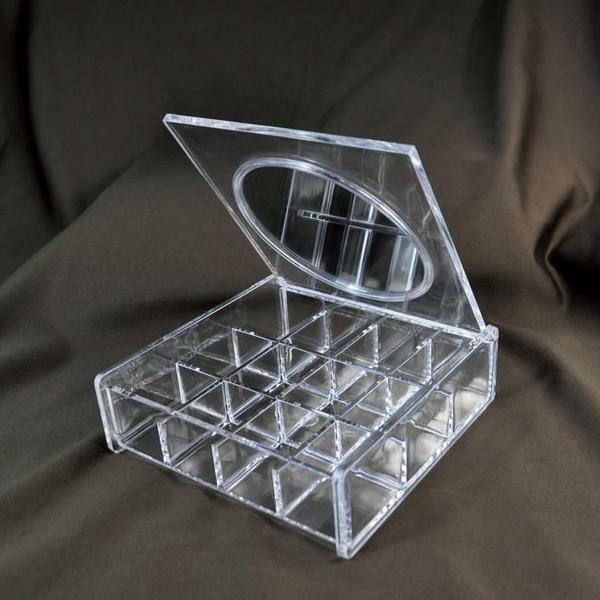 To retain their smoothness, clarity, and shine, follow these tips on how to clean acrylic jewelry displays the correct way. Even if you are using a soft cloth or a lint-free towel, dry wiping your acrylic jewelry displays is not recommended. Doing so can result in unwanted scratches, and the clarity and shine of the acrylic are lessened. Instead, dip the towel in tap water and gently wipe the surfaces of your acrylic display. Also, do remember that you should only use a soft cloth or microfiber towels for cleaning. Do not use brushes, paper towels, sponges, and scours. If the dirt is too stubborn and cannot be removed with a moist lint-free cloth, a solution of mild dishwashing soap and water or a household cleaner is needed to wash it off. However, check the labels of your cleaners. If it has ammonia, do not use it. Ammonia is such a strong chemical that it removes the protective layer of acrylic on your displays. It also creates the annoying spider web cracks or crazing. Car polish is effective for removing scratches. Yes, you read that right! Thankfully, there are automotive polishes that do not contain ammonia and work great with removing minimal scratches. 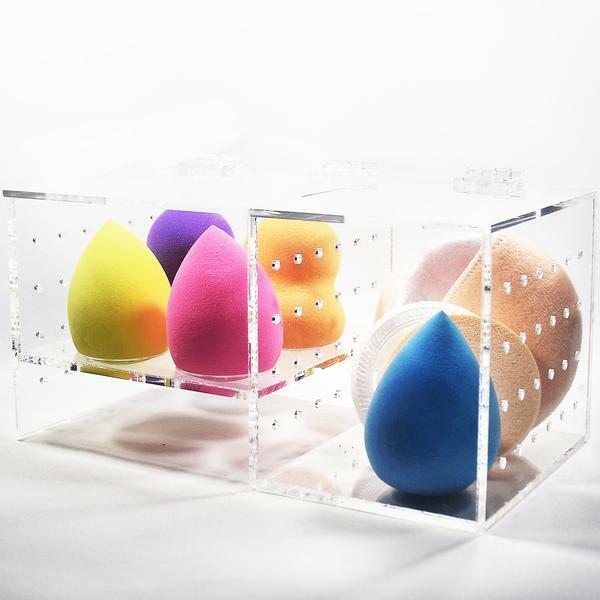 Do check, however, if it can be used with plastic or acrylic as well. All you need are two clean microfiber towels; one dry and one damp. Gently apply one thin layer of the polish on the surface using the dry one and make sure it’s applied evenly. Then, buff gently with the damp towel. Allow the polish to air dry for about an hour, or when the car polish smell is gone. As for the more prominent stubborn scratches, an abrasive polish or scratch removal kits may be needed, but do make sure that they are okay for acrylics. Use kerosene to remove self-adhesive backing. Don’t you just hate the adhesive foam backing on your acrylic displays? Wiping it off with a microfiber cloth dipped in a mild soap and water solution won’t help, but kerosene will. You can also use naphtha but do remember that these should be used in caution and done in a well-ventilated area. Do not forget to wear a protective mask as well so you would not inhale the harmful chemicals. 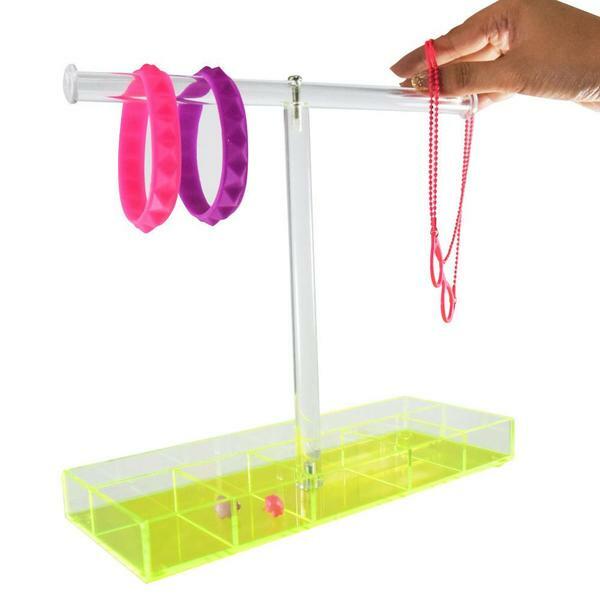 These acrylic jewelry displays may be easy to clean, but remember to stay away from the harmful stuff mentioned above. 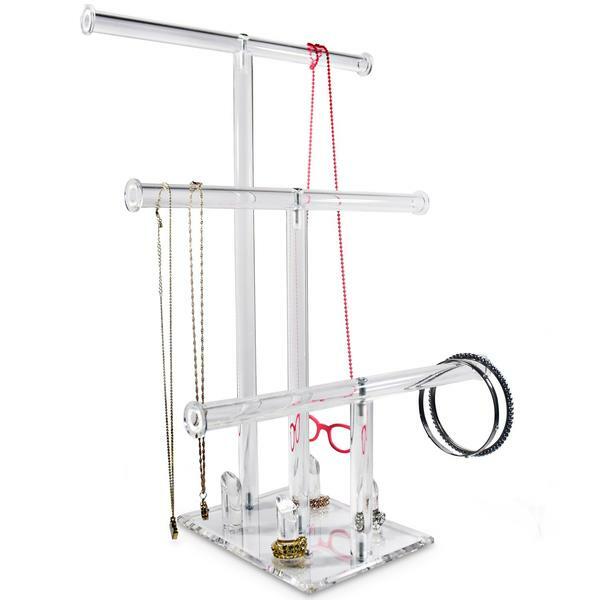 If you need new displays for your shop or your jewelry collection, check out NileCorp.com!